Never bothered to get your earthquake certification because you think the state will still let you adjust anyway when the big one hits? Not likely. Non-licensed adjusters working here MUST comply with Section 14022.5 and register within the prescribed time frame. Non-licensed adjusters MUST comply with all other insurance laws. 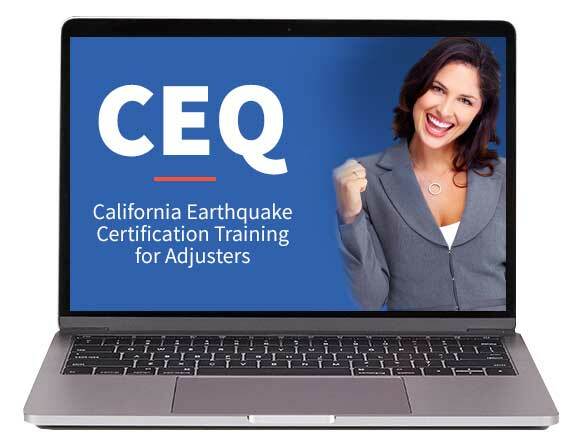 Title 10, Chapter 5, Subchapter 7.5.1 requires ALL adjusters handling earthquake claims in California to be Earthquake Certified. So while the door may be open to you in an earthquake emergency, it might be shut again if you haven’t complied with Title 10. Get earthquake certified overnight with our home study course. The cost is only $79 and your certification is good for three years.